In 2016 I went to Ireland to prepare for an Samhain Ireland tour in 2017. 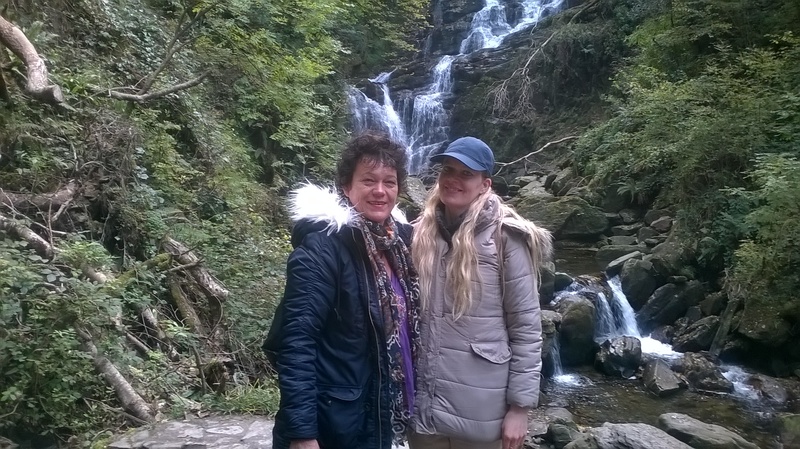 I stayed with my friend and student Olive, a true Irish Earth Priestess, who lives not far from Cork. I was interested to see the ancient and sacred sites around where she lives and so I did. I have written a little blog about it and hope it will inspire you to come this way as well… either on my tour or to visit Olive who can organise bespoke tours and magically guide you in her home country. I am staying in a little village with the unpronounceable name Inchigeela, about an hour from Cork. There is not much out here, but it is surrounded by beautiful rugged landscape and that is exactly why my friend Olive has chosen to live here. She is an Earth Priestess, like me and loves being in nature – for her that energy is like manna from heaven. It keeps her alive and going and I know all about that: the clear energy of the earth, of nature is like nourishment to our souls. The Irish landscape around here certainly gives me that and on our first day I got a good impression of the spectacular nature that Ireland has to offer. 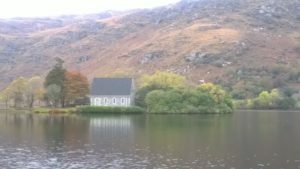 We leave to go by car to Killarney in County Kerry – it is an hour drive and Olive knows a shortcut which takes us on a winding small road through brownish rough countryside – so unspoilt and so unique. Our first stop is at a place called the Gap of Dunloe, located not far from Killarney. The Gap of Dunloe is exactly what it says: a gap between two mountains, a narrow steeped gorge of almost 6.5 km long. We walk towards the Gap on a road through the rocky mountainous area, passing an old stone bridge and some houses later on the way. We have to be careful as horse carriages with tourists who do not want to do the long walk race by us and even though this is an old tradition, I do not feel the horses like it that much running up and down that road with sometimes heavy loads. Anyway, we are the die-hards and walk on to the gap.. and at a certain point we have to stop as we are already far out and still need to walk back, but it is so much worth it to see the impressing mountains on both sides of the gap – giving us a glimpse maybe of another world behind it? After a good walk, it is time for lunch and we head off to Killarney town, which turns out to be a lovely place with loads of Irish pubs, restaurants and shops. All with names like: O’Connors, Kate Kearny, O’Leary’s..which really makes you feel that you are indeed in Ireland. Killarney has a lot to offer so we go next to Torc Waterfall which is located in the National Park – the waterfall is a very romantic site – I can see wedding pictures being taken there… Beautiful flowing water on the rocks, and so easy to get to. There are steps leading up to take us above the waterfall, just 5 minutes says Olive to reassure me that it is not a high climb. But it takes longer than that as I am puffing and sighing, asking are we there yet???? But when we get there it is worth it – and I can see a beautiful place for rituals and ceremony next time we come down there. Water is an important element to work with, representing the flow of our emotions, feelings, our intuition and our connection with the moon. I do feel refreshed after that climb and I am ready for our next stop: Ross Castle. Olive used to work there and knows her way around there like no one else. It is an old medieval castle, small though, located at the edge of stunning lake. 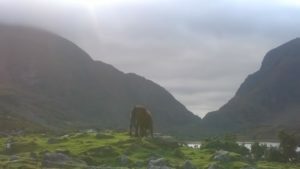 You can take a boat ride and go for instance to the Gap of Dunloe … very nice idea. The fall colours of the trees make the sight of the lake surrounded by those trees and with a small island here and there very beautiful. More manna from heaven. 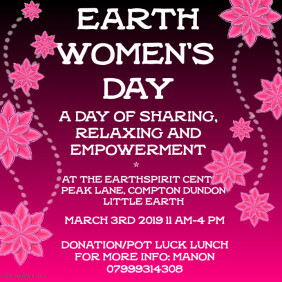 The land around here so far has given me that energy I hoped to find – a authentic pure earth energy which can help with any transformational work I would like to do. Satisfied and happy we decide we want to find the Shire, yes Lord of the rings; we saw a sign just outside of Killarney. What a great idea to have a drink while chatting to the hobbits and maybe catch a surprise visit from Gandalf himself… Alas this was not meant to be, as it turned out that Shire was not were we thought it would be.. so we end up at a typical Irish pub..still it was a good day. This morning I was on my own – Olive went to do her magic somewhere else. I got written out directions to some places I would find interesting..so I got in the car and went to find these places. 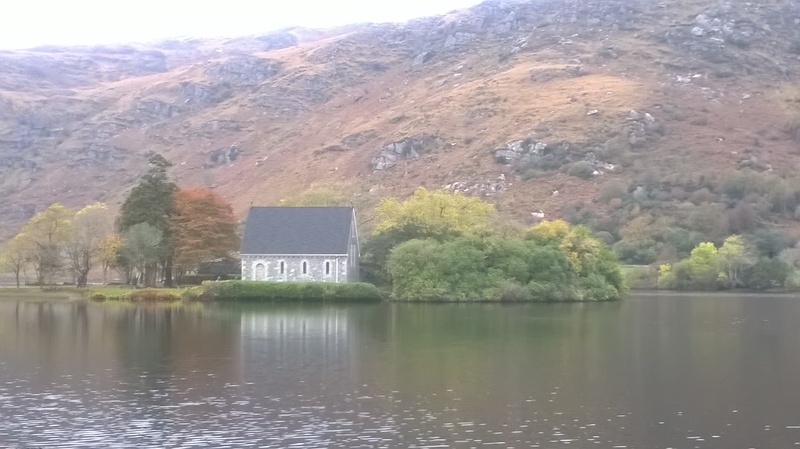 First one is called Gougan Barra – and when I arrived I saw an old church on the side of a lake with a beautiful hills behind it – a picture of severe beauty it is and so peaceful. I walked to the church and next to it was behind a wall – 8 Monk cells and in the middle a big cross. According to historical notes, this place was used to hold Roman Mass in a time when it was forbidden to do so. Anyway, now it is just very picturesque and there is some amazing nature near to it. After a very good coffee at the local hotel I moved on to the next site. 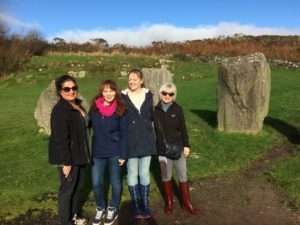 I went to the stone circle of Kealkil as it was on my way – I did not know what to expect as it seemed to only have a small circle, but still I went to visit it. 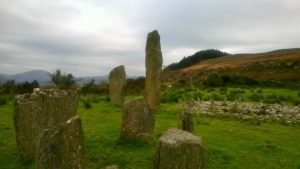 High on a hill with beautiful views on the sea is where I found myself and after having sucked in by some mud, I got to the stone circle – just 5 stones and behind it two big standing stones with next to that a small cairn. It exudes very nice energy and I enjoyed being there.. certainly worth my visit. To continue: on I went to the fishing town of Bantry – it was cute and I had the best seafood chowder there, but there was not much to see other then some shops and a small bay harbour. 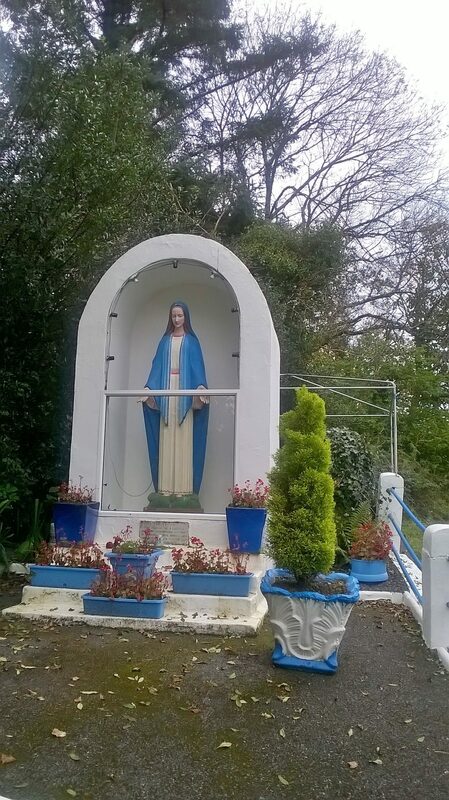 On my way to Bantry I had seen a sign near a graveyard saying Lady Well and I wanted to see what that was all about. 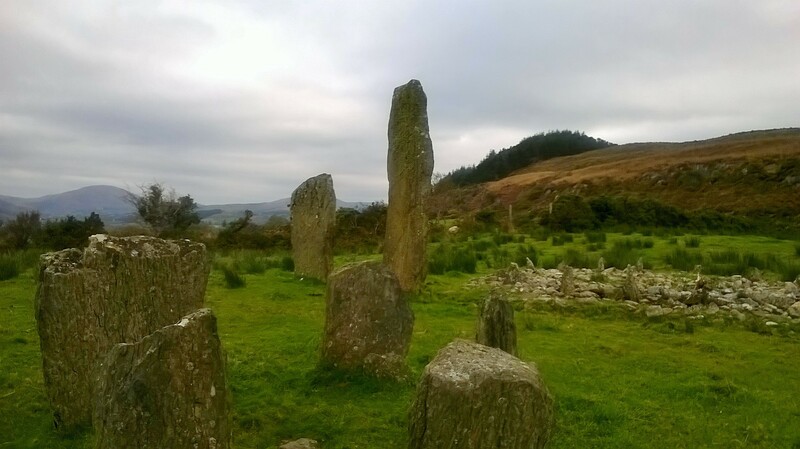 I walked first passed an old graveyard – quite big and I love the graveyards in Ireland: the big Celtic crosses and spooky stones…lovely. At the back of the graveyard I found a well, surrounded by many Mary statues in blue/white – a lovely feminine energy – soft and sweet. For the evening we had exciting plans…a Halloween medieval banquet at a hotel – about 1.5 hour drive from where I was staying. Well, it better be worth it…and it was indeed. It was one of the best evenings I have had in a long time. 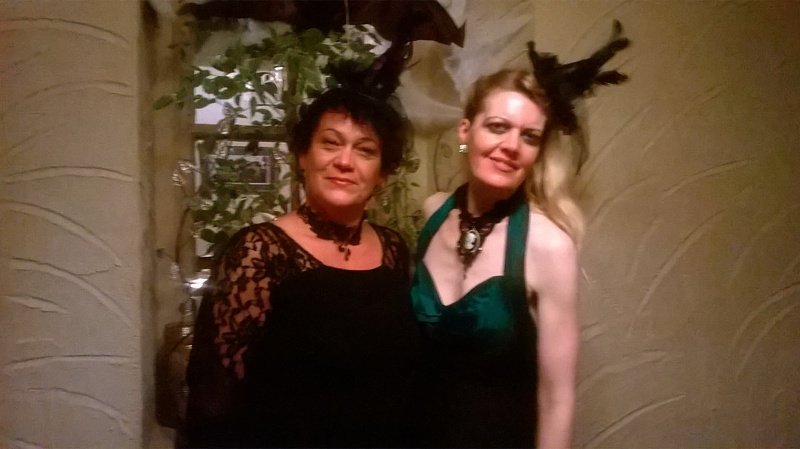 The hotel had outdone itself organising it – everyone was dressed up so nice, and so were we. The atmosphere was so friendly and relaxed, we really wanted to stay there forever. Bank holiday in Ireland – I went by myself to a place nearby called Macroom – a little town with some shops, restaurants, a small castle and a very nice hotel which I went to check out for the trip. On my way back I stopped at an interesting site along the road – many tree stumps coming out of sand and water – a bit spooky and very Samhain. The place is called the Gearagh, which sounds so Lord of the Rings. In the evening it was trick or treat and we received many wonderful dresses up children at the door. After they left we went to an old century to do ritual for bringing in Samhain – it was peaceful and beautiful.